I mean, it feels like this week has been dragging on forever — like it seemed that the weekend would never get here (and now it’s just a few hours away!) But then, looking at the bigger picture, it feels like this year has been flying by. Like, it doesn’t seem like it should be September already, and here we are approaching the END of September! And as of tomorrow, it’ll officially turn from summer to fall — which is fine with me, because I’m so sick of hot weather anyway, but my point is, time just seems to keep slipping away so fast… unless you’re stuck at work, that is. Formed over twenty years ago in Florida, and named after the mythical city in a famous Lerner & Loewe musical (no, not My Fair Lady! 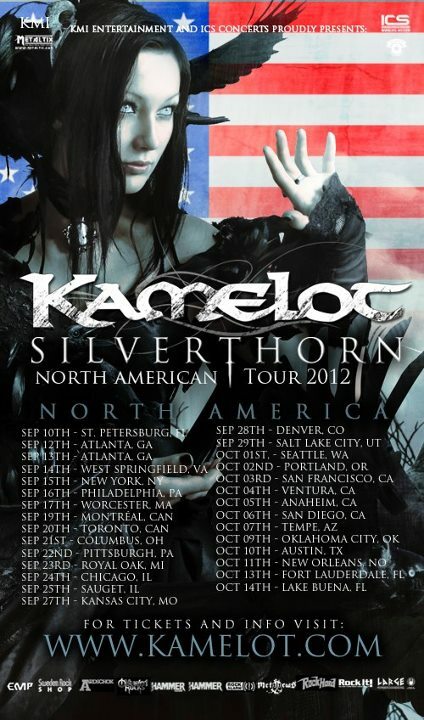 ), melodic metal powerhouse Kamelot are preparing to release their TENTH full-length record Silverthorn in October, via Steamhammer Records. In celebration of that milestone, they’re currently in the middle of a tour all over North America (see the thumbnail image below for a full list of dates — click on the picture for a larger version). 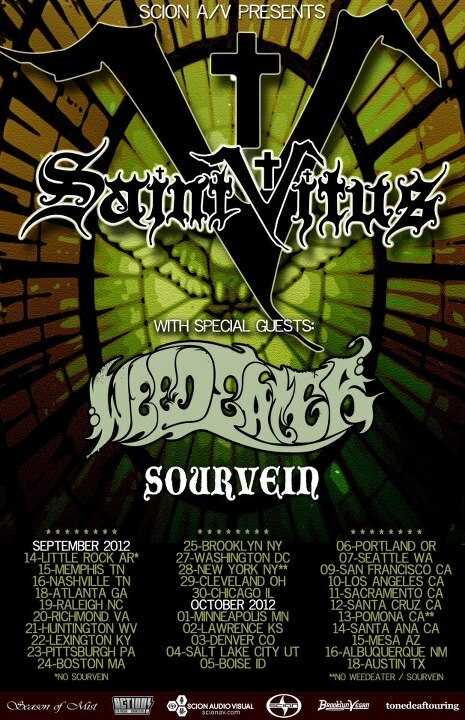 Also performing will be local symphonic metal band Second Empire, and The Third Awakening from New Castle. More details on this event here, order your tickets here, then RSVP here! 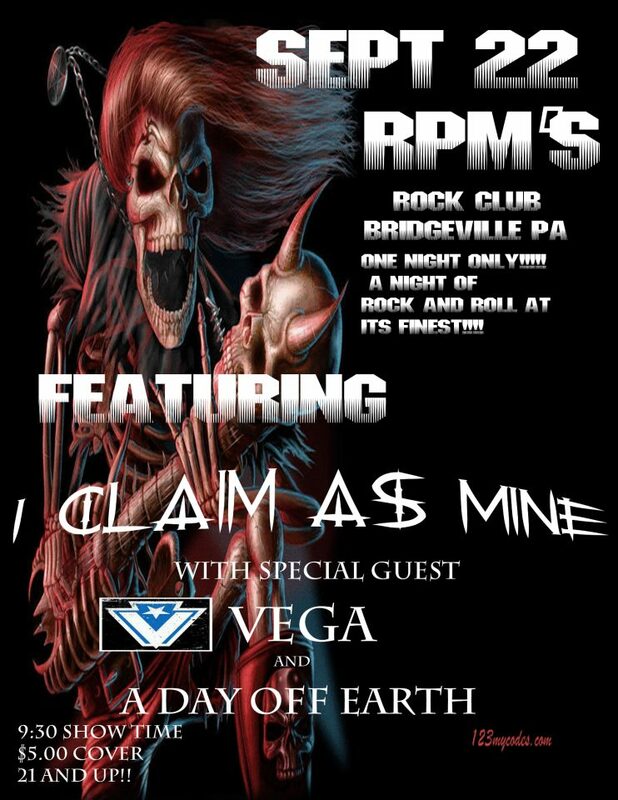 Locals I Claim As Mine and VEGA will be joined by A Day Off Earth visiting from Maryland. I’ve never been to RPM’s — actually, I haven’t been in that area at all for quite a few years — but I’m glad to see stuff happening out that way since the Rhythm House had shut its doors. Looking at a map of its location, it seems to be more or less across the street from where Chuck E. Cheese is (if that’s still open), so if you happen to be in the neighborhood, maybe drop by and play a little skee-ball on your way to the show? Yes, that Saint Vitus — one of the biggest and best-known of the three dozen or so bands fronted by Scott “Wino” Weinrich, which the legendary doom metal singer/guitarist recently re-joined after a lengthy absence. Their album Lillie: F-65, released this past spring, was their first with Wino in over a decade. And now they’re hitting the Rex on Sunday night. Advance tickets ($16) will be available directly from Molasses Barge, and also at these fine locations (plus a $1 service charge in most cases): Sound Cat, Caliban Books, Dave’s Music Mine, Slacker, and The Exchange (Squirrel Hill & Downtown). 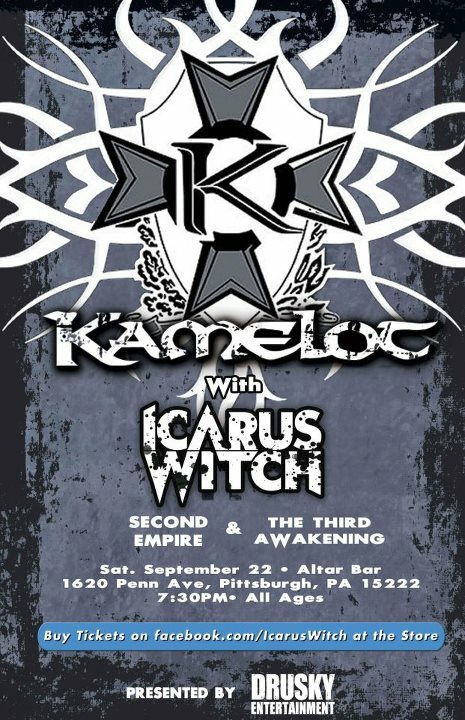 This entry was posted in Pittsburgh, Shows and tagged A Day Off Earth, Altar Bar, Bridgeville, Commonwealth Press, Drusky Entertainment, I Claim As Mine, Icarus Witch, Kamelot, Molasses Barge, Pennsylvania, Pittsburgh, Rex Theater, RPM's Rock Club, Saint Vitus, Scion A/V, Second Empire, Sourvein, Steamhammer Records, The Smiling Moose, The Third Awakening, USA, VEGA, Weedeater, Wino. Bookmark the permalink.